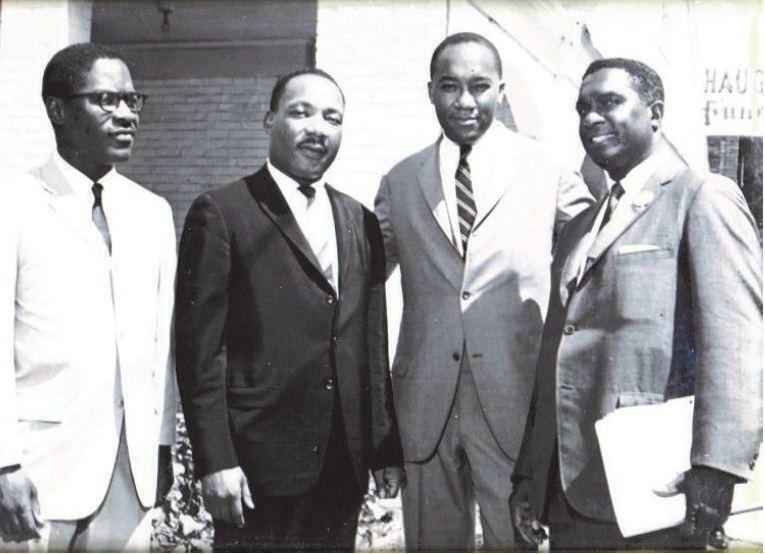 Robert Brown (second from right) meeting with Dr. Martin Luther King Jr., his assistant Bernard Lee and Rev. L.V. Booth. 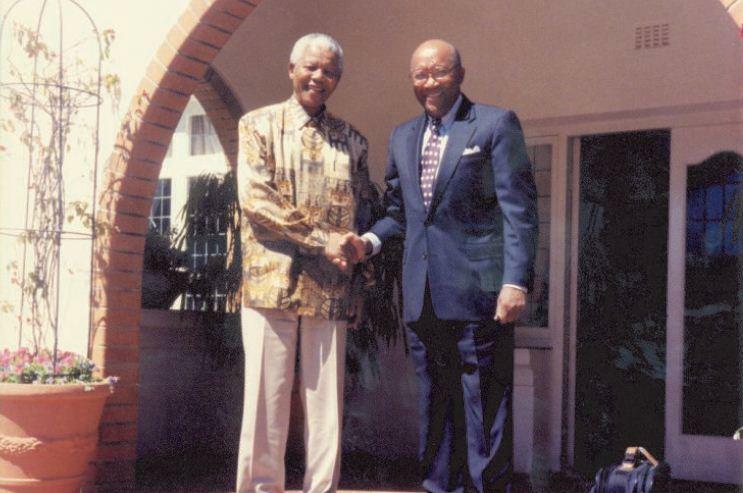 Brown meeting with Nelson Mandela in South Africa at his home in Johannesburg. 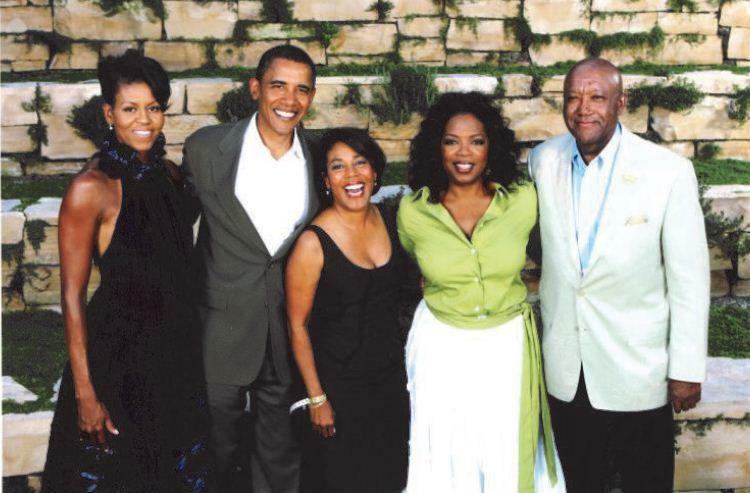 Brown meeting President and Mrs. Barack Obama, Sandra Pinckney and Oprah Winfrey at a fundraiser event at the Oprah Winfrey estate. Brown being greeted by President Lyndon B. Johnson at the White House. 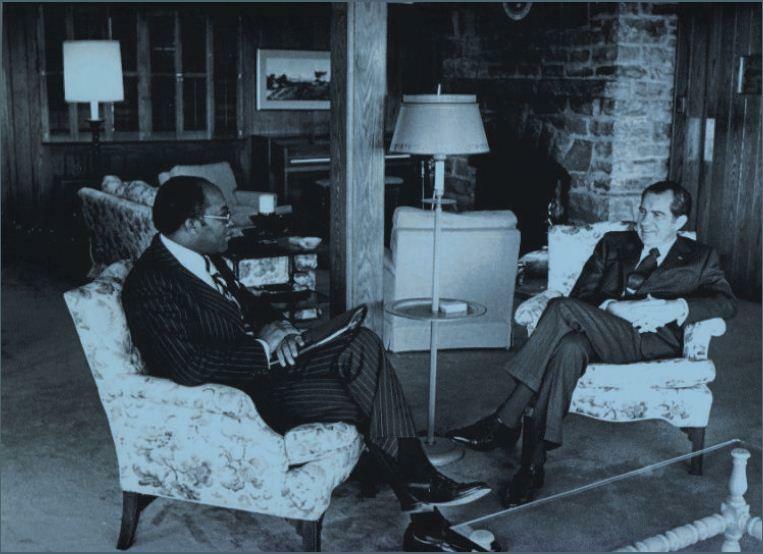 Brown, a former special assistant to President Richard Nixon, meeting with him at Camp David. 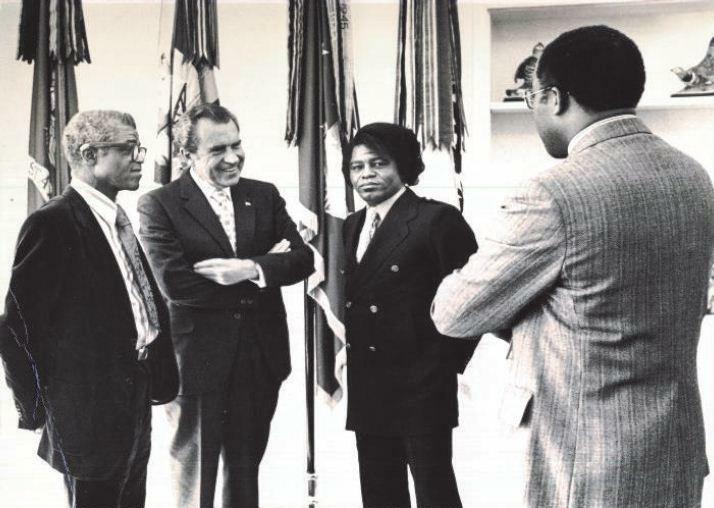 Robert Brown talking with President Nixon, James Brown and his father at the White House. 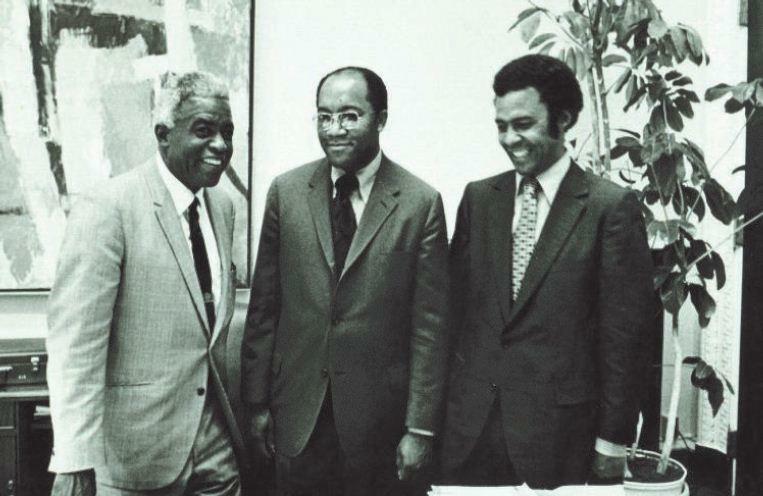 Brown meeting with Jackie Robinson and government official John Jenkins. 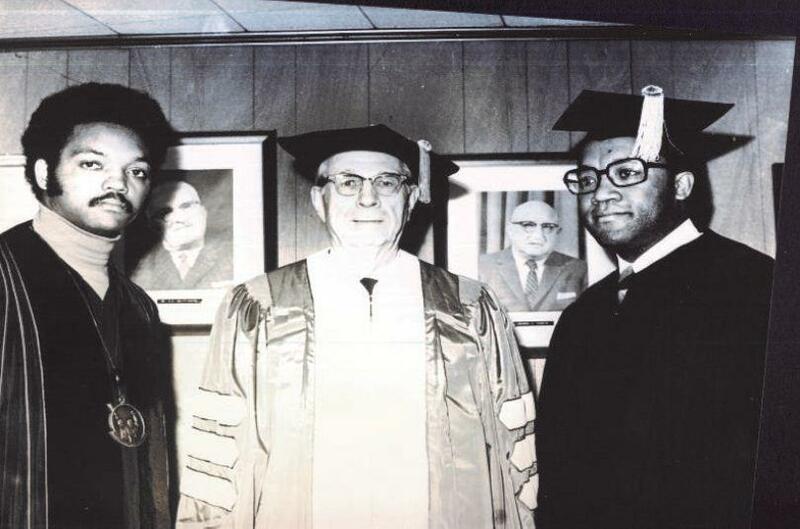 Brown receiving an honorary degree from N.C. A&T along with Rev. Jesse Jackson and the mayor of Greensboro. 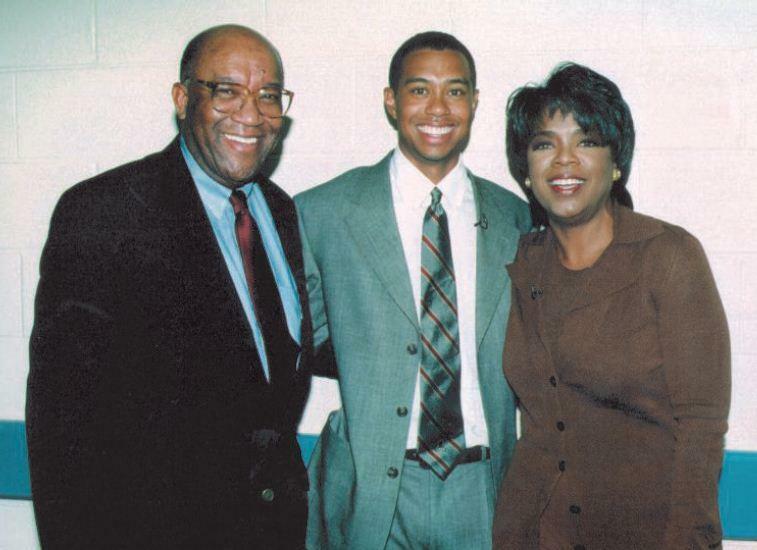 Brown backstage at The Oprah Winfrey Show with Tiger Woods. 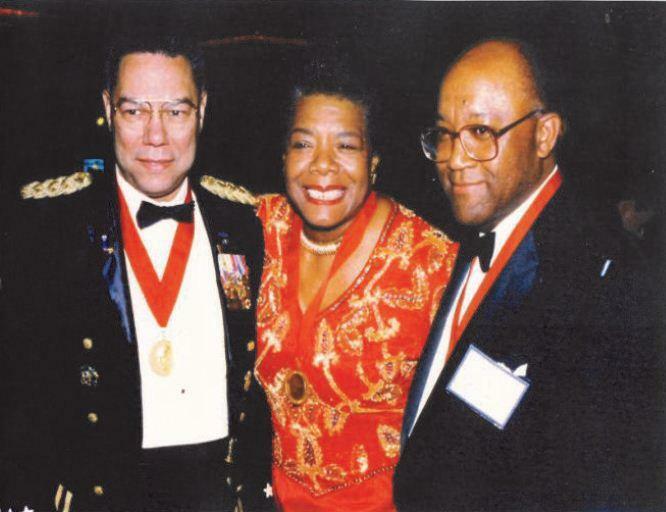 Brown with Colin Powell and Maya Angelou at Horatio Alger Affair. Note: This is a rebroadcast from last year. To hear a follow up to this interview with Robert Brown, click here. Robert Brown is one of the most influential North Carolinians you’ve never heard of. He had a pretty humble start in High Point, where he was born and raised. He was among the city’s first African-American police officers in the 1950s. But he moved on quickly, first as a federal drug enforcement officer, and then as an adviser to some of the world’s most powerful people: Martin Luther King Jr., Richard Nixon, Nelson Mandela and John F. Kennedy, and that’s only part of the list. He is now the founder and CEO of B&C International, one of the oldest and most respected minority-owned consulting firms in the country. Host Frank Stasio talks with Brown about his career and his relationships with some of the world’s most powerful people. Frank Stasio talks with Robert Brown about his career and his relationships with some of the world’s most powerful people. Meeting Martin Luther King Jr. While traveling the country as a public relations consultant, Brown had a chance encounter with Martin Luther King Jr. Brown was eating lunch in Atlanta, and there he met Wyatt Tee Walker, King's chief of staff. Walker had heard of Brown's public relations work with giant companies like Woolworth's, and he asked him to stop by the office in the afternoon. There, Brown met King, and their relationship grew professionally and personally. Brown served as a fundraiser for King's work, and after King's death, Brown accompanied Corretta Scott King to retrieve the body. This was just one of the many world leaders Brown has met and worked with in his life. After King’s death, Corretta wanted to go to South Africa to see if there was anything she could do for imprisoned leader Nelson Mandela. Brown arranged the trip, and they met with Mandela’s wife, Winnie. She asked Corretta to help move Mandela’s children and grandchildren to America. “Corretta looks at me and says, ‘Bob, is that something we can do?’” Brown recalls. By “we,” she meant Brown. He spent his own money to bring Mandela’s family to America and into American colleges. On a return trip to South Africa, Winnie told Brown she would try and arrange a meeting between Brown and Mandela in prison. Brown dismissed the idea because no one outside of immediate family had been permitted to visit Mandela at Pollsmoor Prison. But the petition was granted and Brown spent two hours with Mandela, an exceptionally long visit relative to the customary 15 minute spans Mandela was allowed with family visitors. Brown continued to be close to the Mandela and served as a financial consultant to the family. 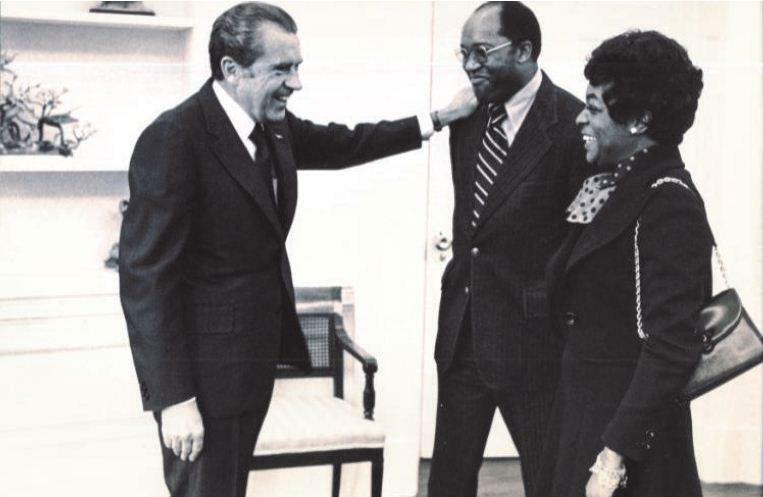 In addition to Mandela and King, Brown served as an adviser to Presidents Richard Nixon and Ronald Reagan. View the slideshow at the top to see other leaders Brown has met. Brown grew up in High Point and was raised by his grandparents. They lived in the poorest section of town, and life was difficult. But Brown learned a lot from this time, especially life lessons and wisdom from his grandma. She became one of the most important figures of life, despite the others he met in his future. Brown and his brother built a strong work ethic from an early age. They shined shoes on the street corner on the weekends, but it was landscaping where he really toiled. His grandfather had an old lawnmower – “an old, old lawnmower,” Brown clarifies – that they would lug around cutting grass for money in middle class white neighborhoods. After finishing high school, Brown received some scholarships to attend Virginia Union, a historically black university in Richmond. The first year went well, but his grandparents fell ill, so he returned home and attended college at North Carolina A&T in Greensboro. Brown recalls the daily commute from High Point: If he had the 25 or 30 cents required for bus fare, he would take a bus to downtown Greensboro and walk two to three miles to campus. Often, he did not have the money and hitchhiked. At A&T, Brown took a sociology class and studied community relations and the police. As he was reading the newspaper on the bus ride home, he saw an ad for the High Point police department. He walked to the department, took the test – “the exam was hard, but not that hard,” Brown says. He left thinking that he could use the experience to write a great paper for his sociology class. Several days later, Brown returned from school, and his grandma came up to him. Brown called Captain Johnson, who then came by the house. Brown waited on the front porch since his mother was too nervous inside. Brown took the job and excelled as a cop. At one point he worked with two federal narcotics agents who suggested he come work as a federal agent himself. They offered to waive the college degree prerequisite because of his excellence. In June of 1956, Brown received a letter finalizing his appointment as a federal agent in New York. He was assigned to work on mafia cases. The heroin trade was at a peak, and Brown worked on more cases than anyone else in the bureau over the next three years. He played a role in the Vito Genovese case, the largest mafia case ever prosecuted. But this job was not Brown’s ultimate calling either. While at a bookshop in Greenwich Village, he picked up a book about effective public relations. He bought it and read it. A week later, still moved by it, he read it again. He thought more about it and read the book a third time. His wife was not convinced he could cut it in public relations given his lack of experience, but over time, he learned to pitch himself to her. He moved back to High Point and eventually found an opportunity with Woolworth’s, one of the largest companies of the time. Woolworth’s was also the high-profile site of the Greensboro sit-in, and Brown had his own brush with civil rights there as a child. His grandma caught him drinking out of the water fountain for white people and told him to drink out of the colored people fountain. Brown spent more than three decades working with Woolworth’s as a public relations adviser to the board of directors. He looked at the demographics of the company and saw the low number of black employees. He insisted it had to change. Because of Brown's help, Woolworth’s became one of the first large companies to bring a black person onto the board of directors. 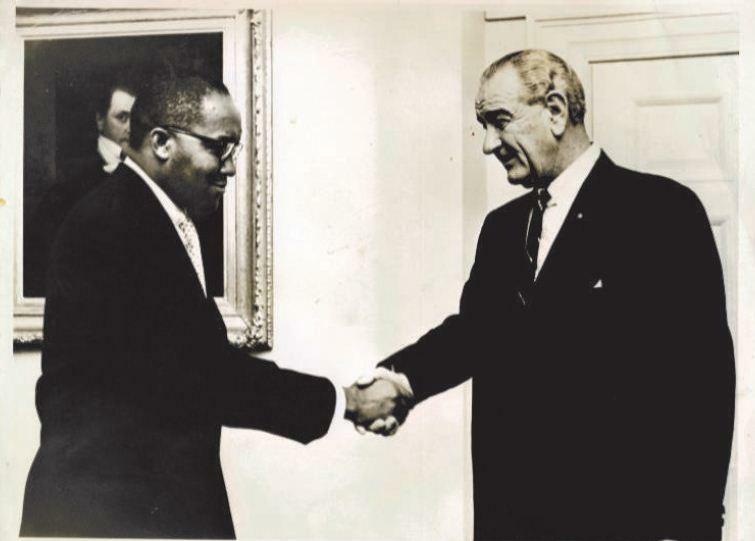 In the 1960s, High Point resident Robert Brown worked closely with Martin Luther King Jr. as a fundraiser. Brown has also advised several prominent American politicians, including Senators John F. Kennedy and Robert F. Kennedy, and Presidents Richard Nixon and Ronald Reagan. Growing up in rural North Carolina, Ricky Hurtado knew little about the state's education system. 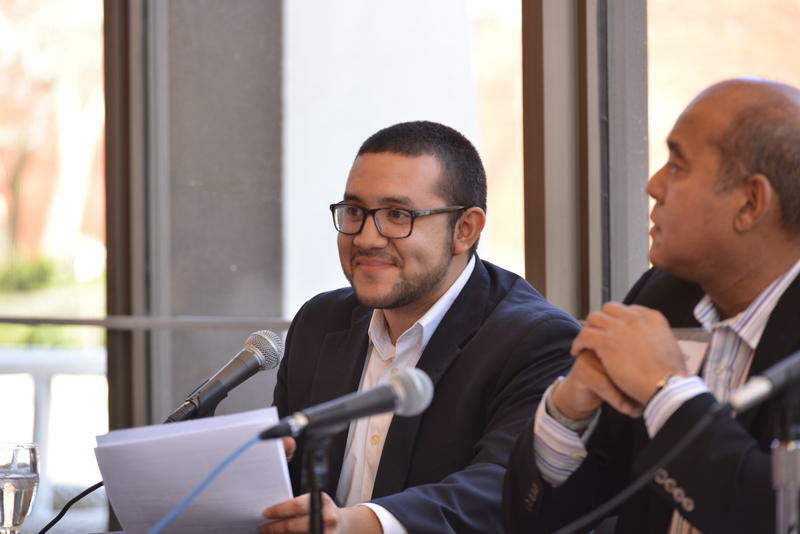 As a first-generation Latino-American, he saw limited resources around him to achieve a college degree. He worked two jobs in high school to save money for college. With support of his family and teachers, he eventually earned a full ride to the University of North Carolina at Chapel Hill through the Morehead-Cain scholarship. This is a rebroadcast of a program that aired last year. Terri Phoenix (T) grew up always feeling like an outsider. 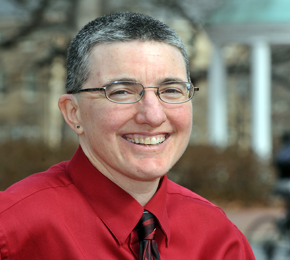 As a young child in a poor, fragmented family, Terri moved around more than 10 times before starting high school and was always the "new kid." 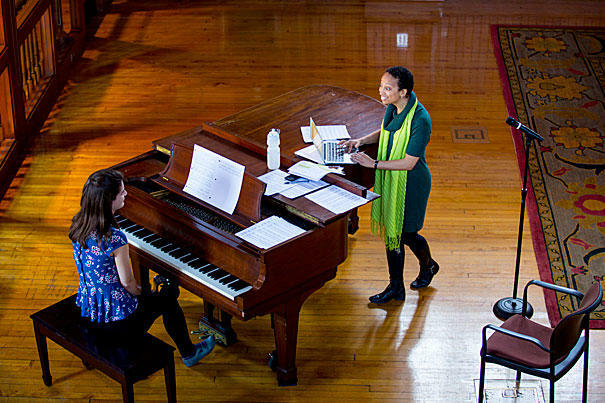 Duke English professor Tsitsi Jaji remembers the noises of independence outside her window in her home country of Zimbabwe when she was 4 years old. Jaji grew up as a part of Zimbabwe's first legally integrated generation and witnessed the country's recovery from harsh colonial rule.